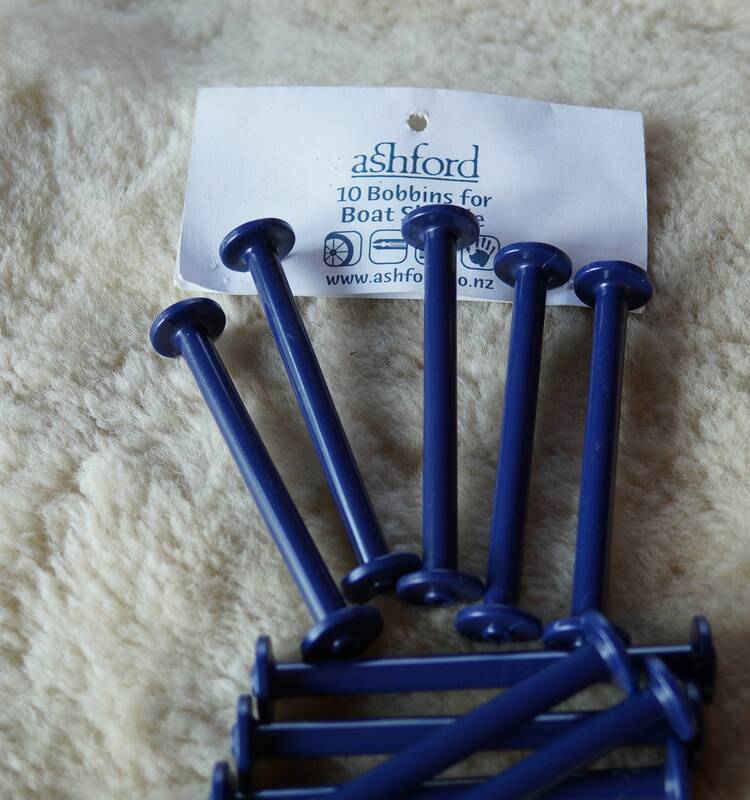 Pack of 10 plastic bobbins for Ashford boat shuttles. Made by Ashford. Dark blue color. 4 3/8 inch long.